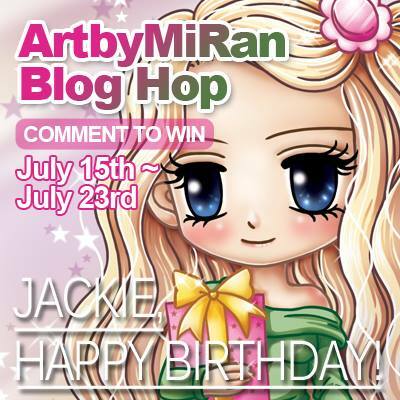 Welcome to our first day of Jackie's birthday blog hop! 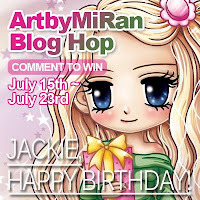 We secretly organised this 3 day blog hop for our DT leader Jackie, who is celebrating her birthday today! Wishing you a great day with all your loved ones! You should have come from Tracey's blog. 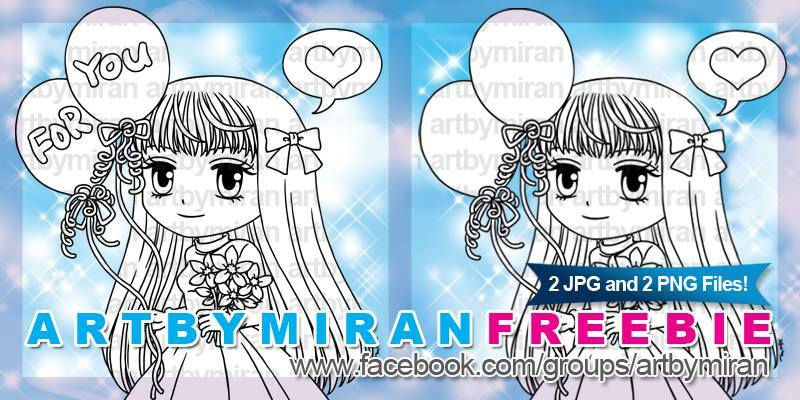 If not, go back to the Art by Mi Ran blog, and start hopping from there. For the hop, all team members created a birthday card for Jackie, and I used the gorgeous Celebrating Your Day.I coloured her with Copics and then the background I did utilising the June Kit and Clowder Create and Learn colouring class. 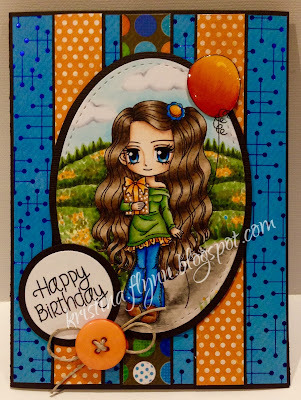 Patterned paper is from Kaisercraft. Thanks so much helping us celebrating Jackie's birthday, and please join us tomorrow for day 2 of our 3-day hop for Jackie! Beautiful card Kristina! Love this colour combo: bright, happy and cheerful! Amazing creation! Love the background! This is an awesome card. Such a fab card hun. 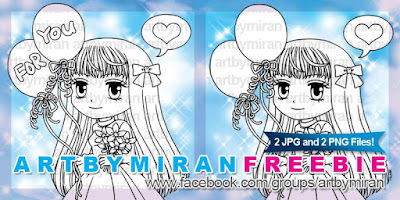 Your coloring is gorgeous and beautiful design!! Love it! Beautiful card and I love the background!!! Oh wow Kristina this is a stunning birthday creation and that background is testiment to your superb colouring skills. wow, love your card and your couloring very much. Oh she is absolutely GORGEOUS!! Your coloring is amazing and your card design is fab!! Thank you so much for making my B-day so special!! Love ya!! your colors are so fantastic!! I love that background you created! Awesome! Great card. Love your background and the whole card. Are you by any chance a Clowdie? Love the blue and orange together.